Our System teaches you to eat smarter so you get and stay lean for good while filling up on satisfying and delicious plant-based food. Free yourself from diet mentality by following our simple, transformative, and no-nonsense principles! Are you tired of fighting the uphill diet battle, starving yourself just to immediately regain those lost pounds? Does counting every morsel of food and restricting your portion sizes leave you frustrated, unsatisfied, and overeating sooner than later? We’ve been there, too. Unfortunately, most weight loss programs are full of misinformation, costly, and set up to fail. After years of research, we were able to get to the truth of easy and sustainable weight loss! This is what we want to share with you in our latest eBooks. 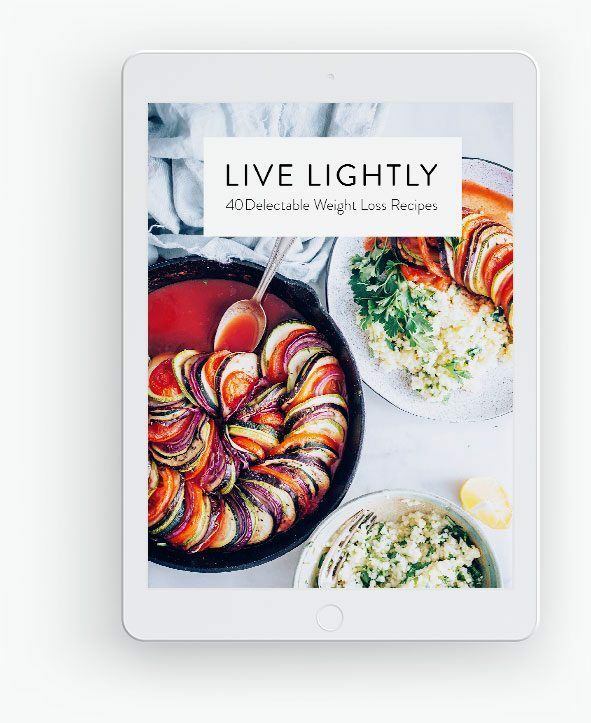 Making use of principles like the Thermogenic Effect of Foods, Satiety Mechanisms as well as Calorie Density, our Sustainable Weight Loss System offers clear, hands-on instructions that empower you to stay at a healthy body weight - no matter what life throws at you. This Guide teaches the very simple yet profound principles for easy and everlasting weight loss. No counting or measuring required! Free yourself from the typical dieting mindset, learn what foods work best for slimming down, and finally stop starving for weight loss. This is the scientifically-proven path to succeed! Discover 40 delectable and filling plant-based meal ideas from quick breakfasts to colorful and warming main dishes. We also didn’t skip the desserts here! Straight-forward, simple ingredients free from animal products, oils, sugar, and other processed foods. These delicious meals make it so easy to eat healthy! Let us guide you through the first 2 weeks of eating to get slim and healthy. 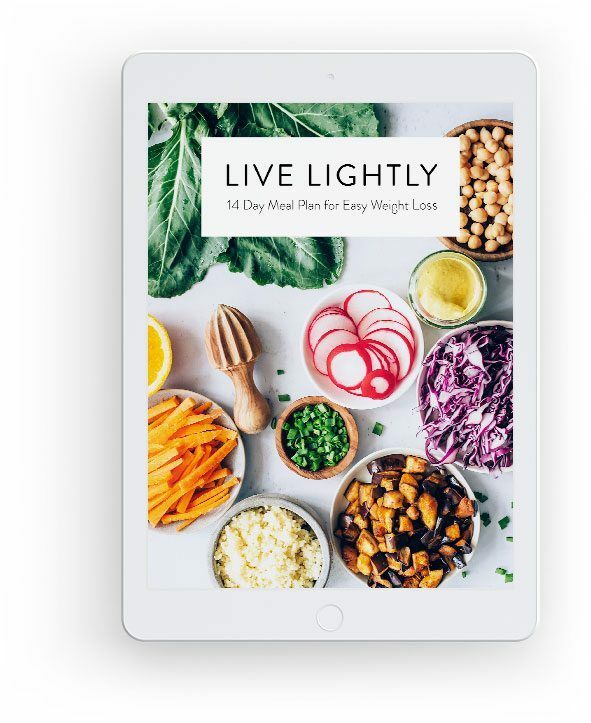 This fully laid-out plan includes 3 meals per day plus a snack and meets 100% of your nutritional needs. It’s set up for one adult person and comes with both a detailed shopping list and 2 meal prep sessions to save you some time. Katie Appreciates the Attention to Detail We Put into Our Meal Plan to Make it Nutritionally Sound and Actionable! Great tools that will certainly help people not just lose unnecessary weight, but to truly feel better. These e-books teach people how to live like you really want to wake up in the morning! As you can see, it is definitely not hard to meet nutrient needs as a whole foods plant based vegan. Let us set you up for success! 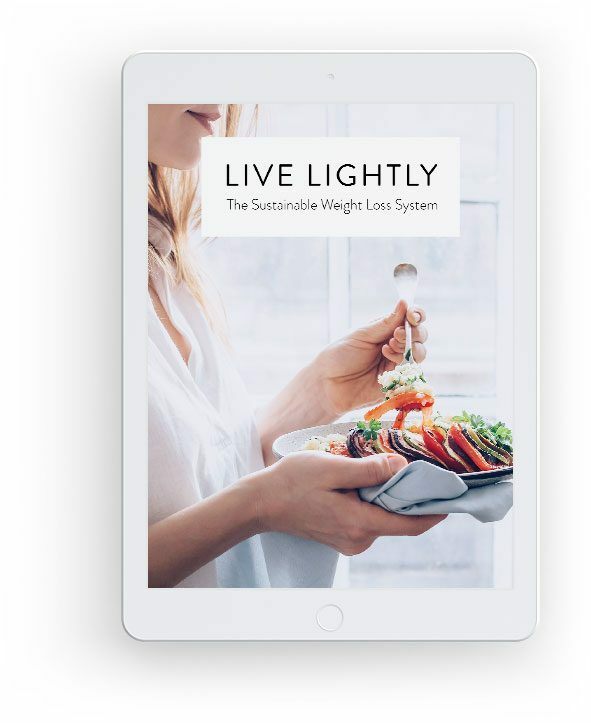 We’ll share with you our 10+ years of combined research and experience in healthy eating and sustainable weight loss, letting you know about the simple principles behind an everlasting slim body. Learn how to make smart food choices, recreate your favorite meals in a weight loss friendly way, and forget about counting or measuring. Eat from the 4 main food groups we’re about to share with you until you’re comfortably full, all while meeting all of your nutritional needs and saving you lots of money. This isn’t just a quick fix or detox - it will bring you long-lasting health. Our accompanying graphics and cheat sheets make organizing and planning for this new lifestyle a breeze! Calories are not created equal and counting them isn’t very accurate. Learn how you can free yourself from keeping track of numbers or portions to stay slim and healthy. It just comes to down to your everyday food choices. Which foods actually support weight loss and which hinder it? Some foods are much easier to turn into body fat than others while being less filling. Break through old diet myths and choose nourishing, slimming meals. There are strong mechanisms at work that lure you off the deep end. Retraining your brain and fueling your body on a consistent basis helps you to be in charge of your food choices and break your junk food habits. Let’s use all this fantastic knowledge and guide you through your first 2 weeks of eating for easy and sustainable weight loss! Our meal plan is set up for one person, laid out so all ingredients are used multiple times, and often, meals are prepared in advance, making our plan much more convenient to follow. No need to think about what recipe to come up with 3 times per day! We’ll have breakfast, lunch, dinner, and a snack ready for you for 2 entire weeks to get you off on a good start. 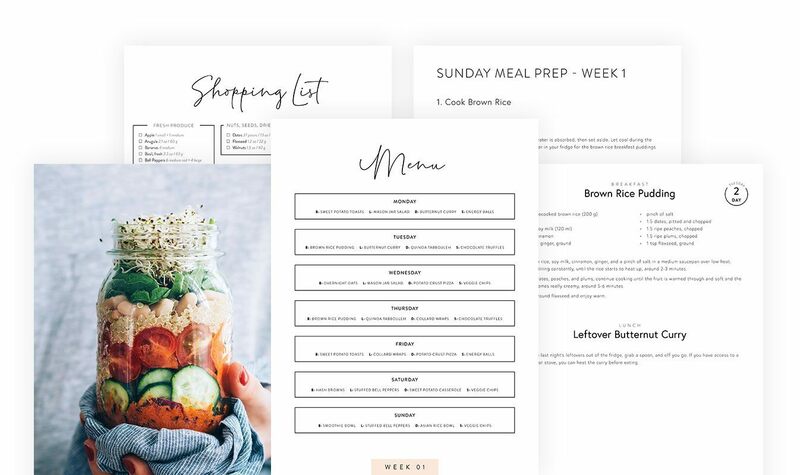 There’s also nutritional information for each day, as well as 2 detailed shopping lists and meal prepping sessions for your convenience - making this system work even when you’re at your busiest. Not only will you lose excess pounds – this way of eating has been scientifically proven to prevent and reverse today's most common chronic diseases and causes of death. Our meals are set up to support weight loss while leaving you feeling full and satiated. Additionally, we utilize the synergetic effect of wholesome plant-based foods that offers more than just single nutrients and components while helping to prevent or even reverse disease. We'll ensure that you meet 100% of your daily nutritional goals, get enough energy, and use up all of the ingredients you buy for the 2 weeks. Due to our strategic prepping and bulk cooking, you’ll always have leftovers for quick meals! Have all the important meal planning and prepping tips in one place and learn about the perfect meal composition to be able to create well-rounded and delicious weight loss meals in the future. 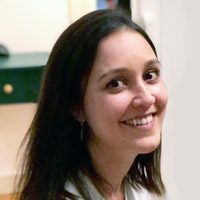 Franzi Loves our Recipes and Personal Support! I'm amazed by the thought and care put into this Weight loss Bundle. I have already tried the sushi rolls, they are insanely good, as will be the rest of the recipes I'm sure, they look mouthwatering! Forget about crazy, unsustainable fad diets - enter a world of abundance with us and let this be the last diet change you’ll ever need to make! 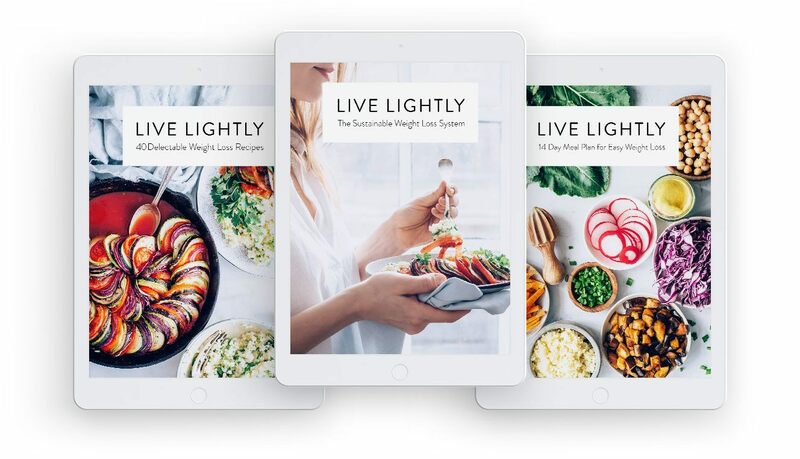 If you’re looking for a more thorough guide on how to transition to a vegan diet successfully, you can pair Live Lightly - The Sustainable Weight Loss System with our popular Vegan Starter Kit. 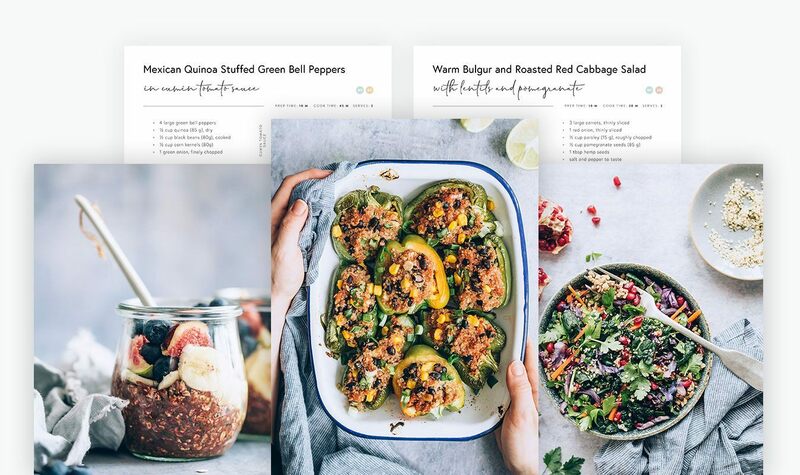 It’s a bundle of 7 eBooks including 40 mouth-watering recipes and a carefully planned out 2-week meal plan full of whole food plant-based goodness. This is the ideal add-on if you're new to veganism! Choosing the “Ultimate Bundle” allows you to get the Vegan Starter Kit for only half the price. Find out what’s inside the different combos below! I can honestly say that so far it has exceeded my expectations and can only thank you for sharing this great work you have done! Design is beautiful, pictures are mouth watering and content is easy to understand and enjoyable to read. Can really tell everything was so carefully thought. Our primary concern is delivering you methods that actually work in the long run, and we are confident that you'll reach your health and weight goals by following these guidelines. If for any reason you are not satisfied with your purchase, you may either ask us your questions via email and we'll address your concerns, or simply request a refund and we'll return your money right away, no questions asked. Absolutely not. The principles we teach in the guide (which are exemplified in our recipes and meal plan) can be slowly introduced into your current diet if desired. With our guides, we’ll give you the skills and advice to create weight loss friendly versions of any of your usual dishes. In the beginning, you can just replace one food at a time or make smart swaps during breakfast and lunch. You choose your own pace to ensure your success. Not in the traditional sense. This diet enables you to both take out foods that harm your body and support your body’s ability to detoxify your system, but it isn’t a cleanse. In fact, you don’t need any exhausting or complicated cleanses when you just eat the right foods. How is this different from all the other weight loss diets? Most programs rely on you counting and measuring your food while often unnecessarily restricting your daily calories, making “hitting the wall” easy. Our System is set up so that you can eat as much as you want whenever you are hungry (from the suggested 4 new food groups) without having to think twice about it or fighting an inner war. By learning smart food swaps, you’ll be able to transform your favorite meals into weight loss friendly dishes and eat to satiety without having to count anything at all. It’s pretty much impossible not to lose weight follow the scientific principles we lay out in the eBooks. Does the recipe eBook use weird and expensive ingredients? You might need to buy some food that you weren’t used to before, but definitely nothing too fancy or expensive. All the ingredients in our recipes can usually be found in normal grocery stores and are often some of the cheapest items available. We’re talking about simple staples here. 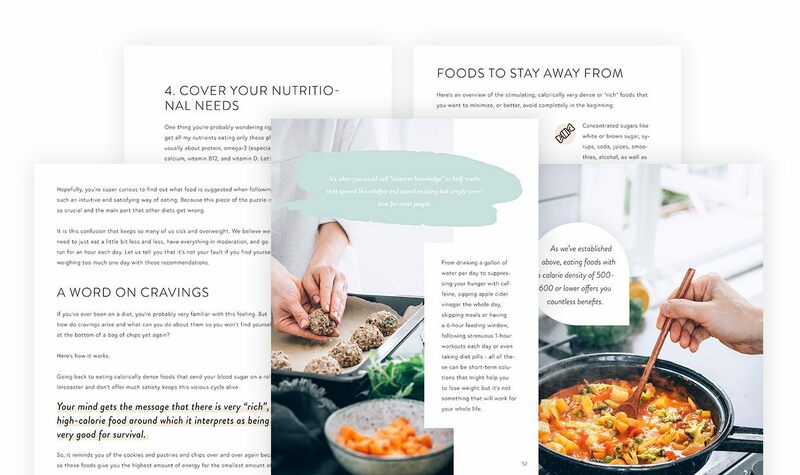 We created the meal plan for a single adult female, making sure it meets 100% of daily nutritional needs. Please listen to your hunger and feel free to skip the snacks or increase your portion sizes accordingly. We also included metric as well as imperial measurements so that everyone around the world can easily follow the recipes. If you want to feed more people than just yourself, simply double or triple the amount of food. Since there are meal prep sessions at the beginning of each week and you’ll have leftovers from the dinners, this plan is totally doable for busy people. Will the eBooks be readable on my iPhone/iPad/Android device? Yes they will. All of the PDFs that we’ll send you will work on nearly every mobile device that can read these formats. In many cases, mobile devices have preinstalled apps that can display PDF files – otherwise, we suggest using free apps such as iBooks for iOS. Feel free to shoot us an email if you run into any kind or trouble and we’ll be happy to help you out! We know how annoying it can be to always have to pay with a credit card online. This is why we also offer the option to pay with PayPal, where you will automatically be transferred during the process. Your details are as safe as if you used a credit card. 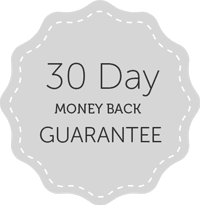 We offer all our customers a 30 day money back period. You can request a refund for any reason within that time, no questions asked! To request a refund, simply email us via mail [at] nutriciously [dot] com with your order number and we’ll process your refund right away. 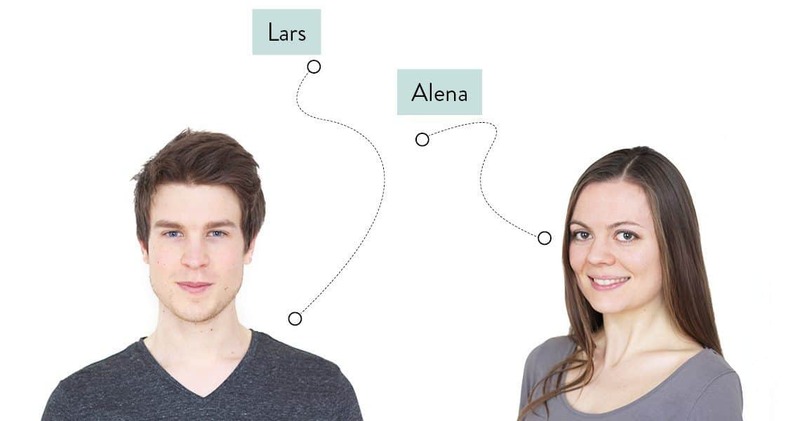 Hey, we are Lars and Alena - the couple behind nutriciously.com. 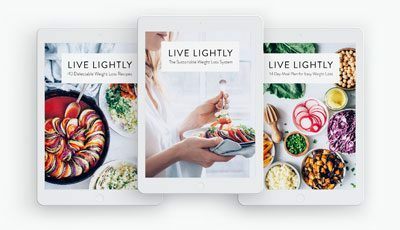 After eating a plant-based diet for over 8 years, we decided to put together this comprehensive and actionable eBook bundle for anyone who's struggling to make a healthy vegan diet work. We've been on countless diet regimens, and it took us years of testing and studying to figure out what works best and what's backed by science. We have reached our optimal weight and healed a couple of annoying ailments by implementing the strategies we share in the eBooks and our blog. We invite you to come along with us on your journey to a happier & healthier life!